Works by Bach, Brahms, Dorothy Chang, & Mark Engebretson. 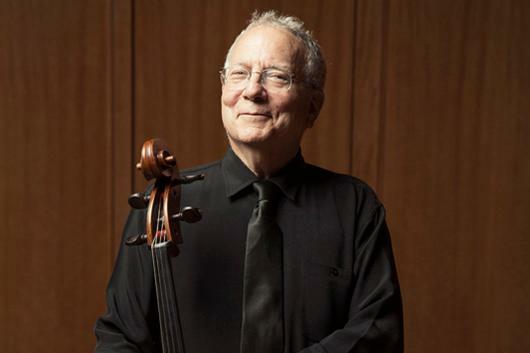 Fred Raimi, cellist, is a faculty member in the Duke University Department of Music and served as member of the Ciompi Quartet from 1974-2018. He has performed in most major cities in the US, and in Europe, China, South America and Australia. A graduate of the Juilliard School, Mr. Raimi received his M.M. degree from SUNY-Binghamton, where he also performed as a member of the Amici Quartet. He has been artist-in-residence at both Hamilton and Colgate Universities, and won the International Cello Competition in Portugal in 1971. Susan Fancher teaches saxophone at Duke. Her career has featured hundreds of concerts internationally as a soloist and as the member of chamber music ensembles such as the Red Clay Saxophone Quartet, with performances in many of the world's leading concert venues and contemporary music festivals. Jimmy Gilmore is Principal Clarinetist (ret.) of the North Carolina Symphony and presently serves as Senior Advisor for the Orchestra. He holds degrees from the Eastman School of Music and the Juilliard School of Music. Mr. Gilmore was formerly a member of the Rochester Philharmonic and the U.S. Military Academy Band at West Point. A faculty member of Duke University and Meredith College, he has made numerous appearances as a soloist and recitalist throughout the Southeast. Pianist Blake Ray is a staff accompanist at Duke. He studied music at the University of Michigan.